Netwatch is one of the features of RouterOS which functions to monitor network connections whether it’s up or down. So we will immediately find out the condition of the Mikrotik network when it is down and up again via e-mail or SMS. The concept is like this, Netwatch will ping certain hosts (IP address or domain) with certain time intervals such as ping every 1 minute. If when the netwatch ping hosts the Reply, it means that the connection is up and if Request timed out (RTO) means down. Each condition of Up and Down can we enter certain scripts as needed. We can also enter the script to send an email or automatic SMS if the network connection condition is up or down. Well, I already know how Netwatch works. In this article we will learn mikrotik about How to Monitor Microtic Network Connections with Netwatch notification via e-mail. Why email? Why hey ?? Tell us what? : P Previously, it was discussed about e-mail in this article How to set up e-mail and send e-mail on RouterOS microtic. Please read first to understand. Why don’t you just use SMS? Not all Mikrotik supports SMS because only the RouterBoard has a USB port or the SIMCard can only text. 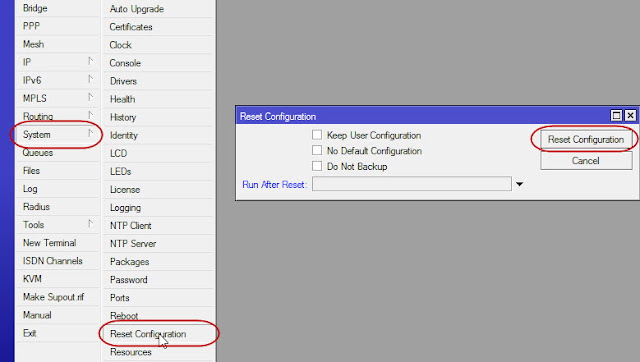 Before starting, make sure you have set up the Mikrotik email configuration. Click the + button to add netwatch host. Fill in the Host with google.com or its IP address 74.125.135.138. Why Google? We choose Google because Google servers are always alive. Timeout: how big is the timeout indication (default = 1000ms) if the reply is more than 1000ms, RTO will be calculated. Please try to disconnect the internet connection from your Mikrotik a few moments then connect again. Check the inbox in the destination email that you entered in the script. If the settings are correct, a notification email will appear if the internet connection is down and up again. For those of you who are still unfamiliar with MikroTik, you must be confused with terms related to Mikrotik. What are the terms in the Mikrotik? PPP (Point to Point Protocol), is a package that contains the PPP protocol. This package is required for serial communication features using PPP, ISDN PPP, L2TP, and PPTP and PPP on Ethernet (PPPoE) communication. PPP packages are used for Wide Area Network communication by using asyncronous and synchronous mode serial communication. DHCP (Dynamic Host Configuration Protocol), a package that contains both DHCP features needed to become a client or server. Advanced-tools, includes e-mail client features, ping, netwatch, traceroute, bandwidth tester, traffic monitoring, technology, and other utilities, which are often needed to determine the condition of the router and network. Netwatch feature is one feature that allows Mikrotik to be smarter and can choose configurations based on the script (order sequence) according to network conditions (netwatch). Arlan, is a proxy support for using ISA cards arlan 655 Wireless Interface in order to transparently communicate with their opponents. GPS, proxy can use the Global Poetry System (GPS) receiver as a reference for Network Time Protocol (NTP) time and location. 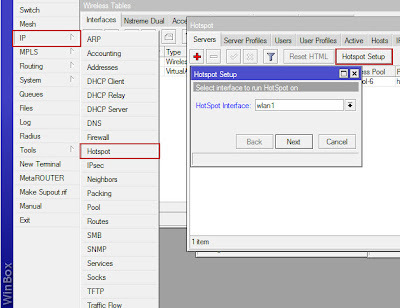 Hotspot, is used to carry out authentication, authorization and accounting users who do network access through a hotspot gate. Hotspot users before accessing the network need to authenticate via a web browser with both http and https (secure http) protocols. 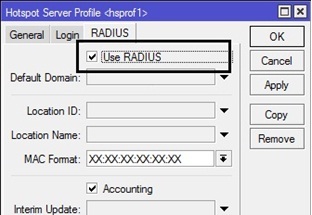 ISDN, proxy router can function as an ISDN client or server. Dial-up functions can be set permanently or dial-on-demand. 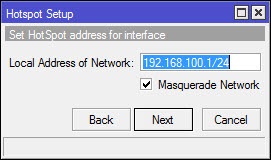 The IP address given by the ISP can be used as the default route table. LCD, is used to display information on microtic system conditions via a mini LCD layer that is connected to parallel or USB. NTP (Network Time Protocol), is used to align computer time systems in a network. LAN radio, proxy supports the use of wireless radio LAN. Routing is needed if the network uses routing dynamic. Mikrotik can use RIP, OSPF, and BGP version 4. Security, contains support for communication security. This package is required by proxy to run IP security (IP Sec), Secure Shell, and to run Win Box in safe mode. Phone, useful for managing communication services using Voice Over IP (VoIP). This package in addition to providing the gatekeeper function also supports the use of some VoIP hardware attached to the Mikrotik Router OS. UPS, this feature makes it easy for administrators to monitor and secure the router from damage due to power supply interference. To do this, the router will always monitor the UPS battery condition when the main power supply is not available. If the condition of the UPS battery is below 10% then this feature instructs rauter to be in hibernate state and ready to return to active when the main power supply is back. 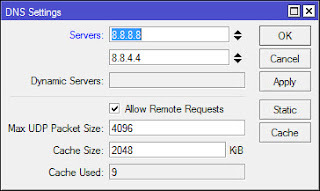 Mikrotik web proxy, at the same time can be used as a normal HTTP proxy and transparent. later there will be a question whether we really want to reset, just answer Y (es). The second way is to press the reset button. Please look for the reset button because each routerboard has different places but usually there is a small hole in the routerboard and must be pricked using a tool because it can’t be directly with the fingers, usually I use the tip of the pen to stab it, but be careful not to be too strong because the button is vulnerable. Slowly but feel the “tek” sound because the button has been pressed. Many beginners are hard pressed until the button is dislodged. The way to reset it is swallow the reset button and do not remove it, then unplug and install the power so that the routerboard is on. wait a while until the light blinks. After that restart the routerboard. 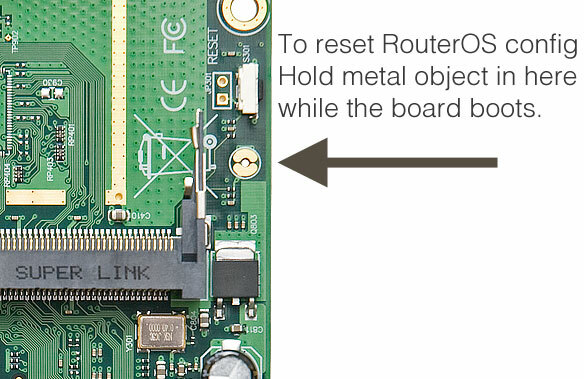 All current RouterBOARD models also have a reset jumper hole. Some devices may need to open the chassis to reset, RB750 / RB951 / RB751 have a jumper hole under one of the rubber feet on the case. 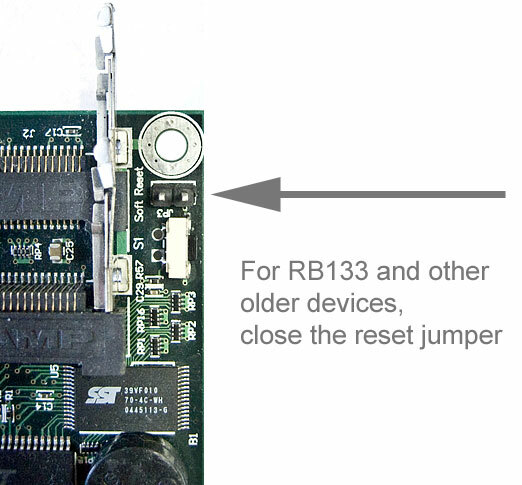 Use: Close the jumper with a metal screwdriver, and reboot so that the configuration is deleted. Note: For RB133, don’t forget to remove the jumper after the configuration is reset, or your proxy will continue to reset every time you reboot. If the two methods above don’t work, the third way is to open the case and do the jumpers. Search on the pcb routerboard for a circular brass plate but cut it off as if it were two semicircular faces. Just press with a screwdriver or other delivery object so that the two semicircles are connected. 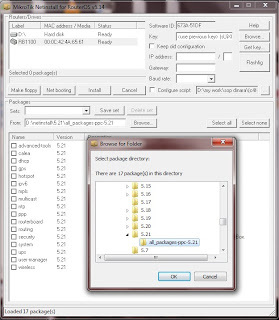 Based on sources from the Mikrotik wiki, Netinstall is a program that runs on Windows computers that allows you to install MikroTik RouterOS to a PC or to a RouterBoard via an Ethernet network. Netinstall is also used to reinstall RouterOS in cases where the previous installation failed, it becomes corrupt or the access password is lost. Your device must support booting from ethernet, and there must be an ethernet link directly from the netinstall computer to the target device. All RouterBOARD support for PXE network boot, must be activated either in the RouterOS “Routerboard” menu if RouterOS is operating, or in bootloader settings. For this, you will need a serial cable. Note: For RouterBOARD devices without serial ports, and no RouterOS access, the reset button can also start PXE boot mode. See RouterBOARD PDF instructions for details. For example RB750 PDF Netinstall can also directly install RouterOS on a disk (USB / CF / IDE / SATA) that is connected to a Windows netinstall machine. After installation just move the disk to the Router machine and boot from it. Well, so basically Netinstall can be used to reset the Mikrotik password when we forget the proxy password and also when a system failure occurs in the previous installation process. Then why should you use Netinstall? Why isn’t the upgrade just being reset? The formatting drive process occurs in netinstall but does not occur in the upgrade. So what’s the effect? We know that proxy provides small memory and when the upgrade process, there are some data that we might not use but still take place there. With NetInstall, first clean the entire storage area by formatting the drive after the system is inserted. Okay, it’s clear, isn’t that what Netisntall is. Now we just try to install the proxy with Netinstall. How do you do NetInstall? In some literacies there must be a serial cable, but I have tried it without serial cable and it works. The function of this serial cable is to change the boot flow of devices that by default boot from the internal disk to boot from the network. Download the combined routerOS package from the page http://www.mikrotik.com/download.html, adjust it to your router type and the version you want to use. Your PC settings use static IP. (for example: IP 192.168.12.19 netmask 255.255.255.0) and plug the ethernet cable from your PC to your router ether1 port. Run the Netinstall program and press the Net boot button, then you enable / check Boot Server enabled, then fill in the Client IP address with one IP subnet with your PC’s static IP (for example: 192.168.12.3) and press ok.
Press the small reset button on your router, and you hold it. Wait a few moments, later in the Netinstall program you will see the mac-address of your router. Press the install button, then the installation process will be displayed in the Netinstall program. If the installation process is complete, the Install button will change to reboot, please press the button and the installation process is complete. Solution See the Mikrotik Username and Password if You Forget – Humans can not be separated from the disease FORGET. Yes, you may have forgotten your Mikrotik password or forgot the Mikrotik username. 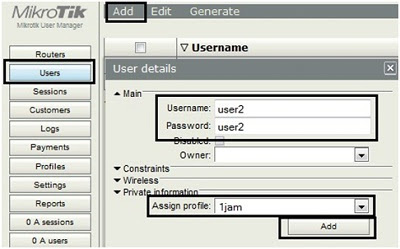 Forgotten Mikrotik username and password is indeed common and often happens especially if we do not save the Mikrotik login data. But you don’t need to worry because if you forget the Mikrotik login username and password, both of them can be recovered by utilizing Mikrotik backup files and Mikrotik Backup Password Recovery services from the mikrotikpasswordrecovery.com site. Make sure you still save the backup file from the Microtic Router that you forgot the password. 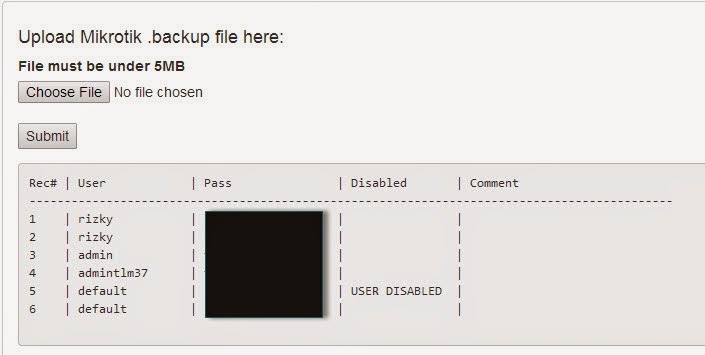 Click Choose File and select your Mikrotik backup file -> Click Submit. 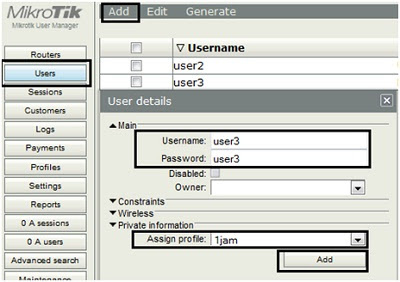 Then your Mikrotik Username and Password will appear as shown above. Network Time Protocol, or more commonly referred to as NTP, is a mechanism or protocol used to synchronize timers in a computer system and network. This synchronization process is carried out in data communication lines that typically use the TCP / IP communication protocol. So that this process itself can be seen as an ordinary data communication process that only exchanges data packets. NTP uses UDP number 123 communication port. This protocol is designed to work well even though the communication media varies, ranging from those with high to low latency, ranging from cable media to air media. This protocol allows computer devices to still be able to synchronize time very precisely in various media. Usually in a network, several nodes are equipped with NTP facilities in order to form a synchronization subnet. The nodes will then communicate with each other and synchronize their time recorded. Even though there are several nodes that will become master (primary server), the NTP protocol does not require the selection mechanism. Under certain conditions Microtic Routers must work based on time, both date, day and hour. For example, if you want to block internet access outside working hours or block some sites at certain hours. If you use a PC as a Microtic Router this is certainly not a problem, because the computer motherboard has a battery installed that can maintain time configuration. But on the Microtic RouterBoard that does not have internal storage, the configuration time will be messed up every time the router restarts. Well, to avoid inaccurate configuration of this time, then the Microtic Router needs to be configured Network Time Protocol (NTP). Microtic routers need to know the NTP server that is on the Internet and will try to adjust the configuration of the time on the NTP Server. 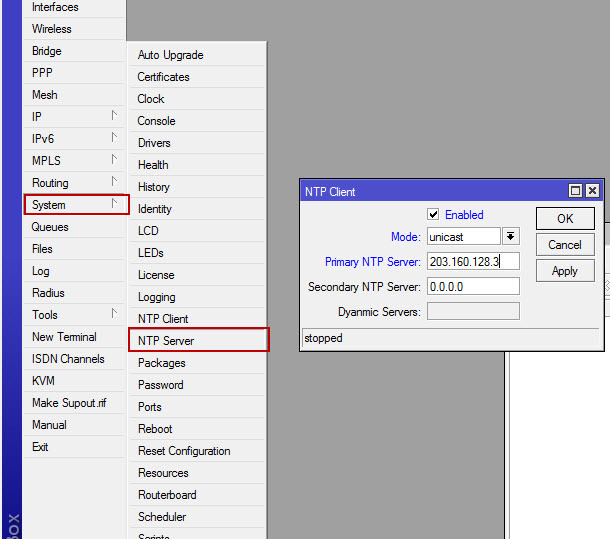 To synchronize the time configuration on the Mikrotik Router, you can use an NTP Server for Indonesia with IP Address 203.160.128.3. 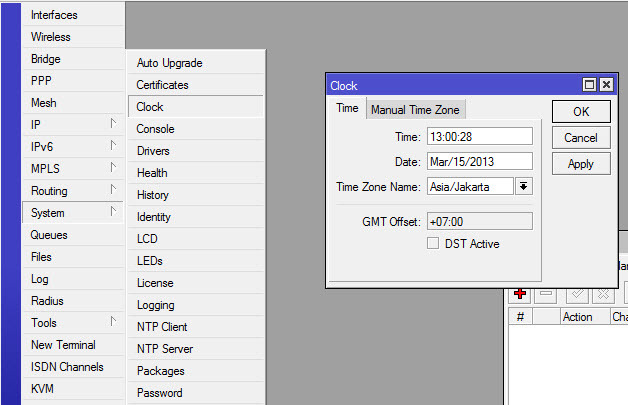 Now configure the time your Microtic Router is appropriate. 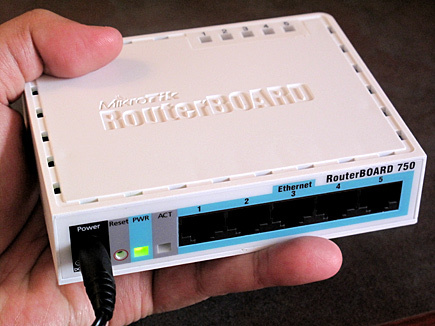 Tutorial How to RB750 Microtic Settings via Winbox – Mikrotik RB750 is one of the most widely used Microtic RouterBoard because of its cheap price. 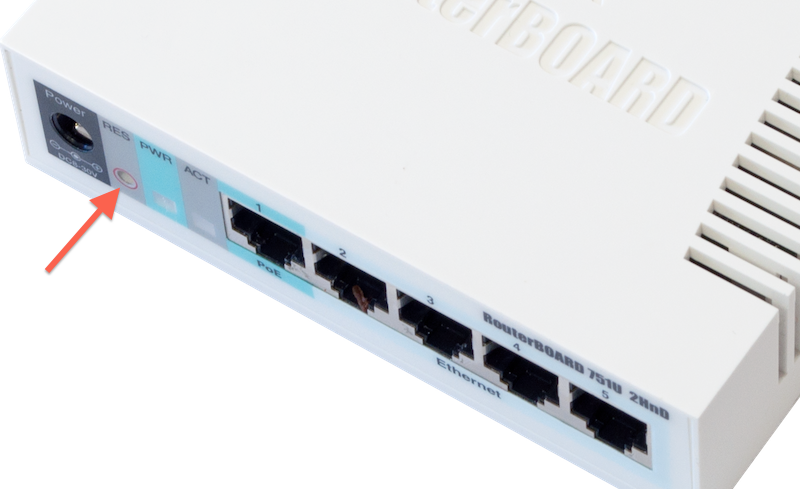 Mikrotik RB 750 has 5 10/100 ethernet ports, with a new Atheros 400MHz processor and is included with a level 4 license. Unfortunately the RB750 does not have a Wireless interface, so it cannot be directly used to create a wireless Hotspot. In order to make a wireless Hotspot an additional device needs to be added as an Access Point. Okay, this time the Indonesian Mikrotik Tutorial will discuss the Tutorial on How to RB750 Microtic Settings via Winbox from the beginning. This tutorial is specifically for those of you who are just using this Mikrotik RB750 (newbie). Okay, let’s learn Mikrotik RB750 together. The following is how the RB750 Microtic Settings with a Speedy Internet connection. Here dial into Speedy directly from Mikrotik, not using an ADSL modem. Please set your ADSL Modem to ‘BRIDGE’ mode, so if still in ‘PPPoE’ mode, please go to the ‘RESET’ modem & reset it. 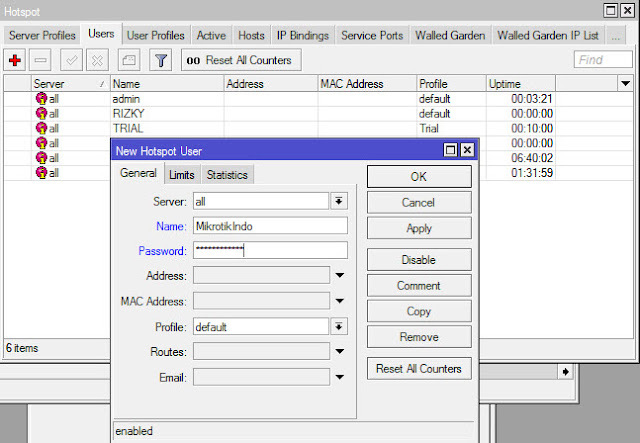 Next, we start with Log In Winbox and choose Mac Address (not IP Address) to connect to Mikrotik. Dial Out Service Tab = internet User = 012*@telkom.net (Your Speedy Username) Password = (Your Speedy Password) Profile = Default Checklist in Select Menuan ‘Add Default Route & User Peer DNS ‘, Select Request Allow all Checklist, OK.
Open Control Panel – Network Connection – Local Area Connection – Right-click & Select Menu Properties – Internet Protocol (TCP / IP) – Properties. 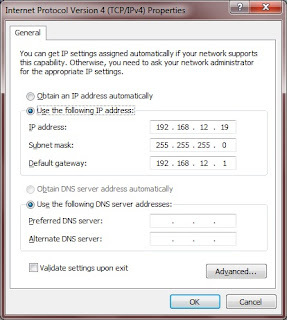 Use the Following DNS Server Addresses: Use DNS Servers & Alternative DNS Servers in the DNS settings. Because some RouterBoard / Mikrotik do not use Battery CMOS, so that the RouterBoard / Mikrotik time zone runs normally, we have to set it. Until here, Mikrotik RB750 you should be able to connect to the Internet, please try doing the Mikrotik and try browsing from the Client PC. If successful, the settings are correct. How to Configure a Mikrotik DNS Server – Maybe you have often heard the term DNS Server. DNS (Domain Name System) The server functions to map the web hostname or domain on the Internet to its IP address (to be an IP address). For the record, computer networks (including the internet) communicate using IP addresses not with domain names such as .com, .net, .org, etc. That is why to configure a user computer or router that will access the internet DNS server, it must be configured first. If not, then the site to be addressed cannot be accessed because the IP address cannot be identified. Check whether the DNS settings are entered. In the command above, mean allow-remote-requests = yes is going to make your Mikrotik Router as a DNS Server too. So that later the DNS configuration on the user’s computer is simply directed to the Mikrotik Router, and is no longer directed to Google’s DNS Server or ISP, or other. This can save Bandwidth usage because DNS questions will only be given to your Microtic Router. 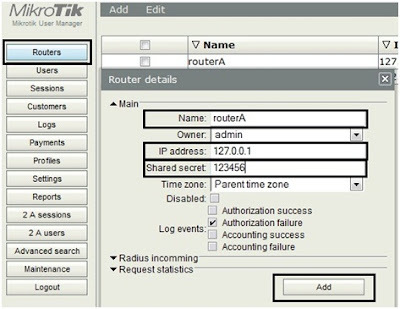 After the DNS Server on Mikrotik has been configured, the Mikrotik Router should be able to connect to the internet. Check the connection to the internet by pinging websites like google.com. Use Ctrl + C to stop the ping process. From the topology above, Router B is connected to Router A where each one uses ether 3, then for Router A and Router B each has a hotspot system installed, for Router A using HotSpot Interface ether 2 and Router B uses wlan 1, like the one It has been explained previously that we will integrate the two hotspot systems using a user manager, where the user manager has been installed on Router A, before proceeding further, the User manager and Hotspot system installation will be explained. 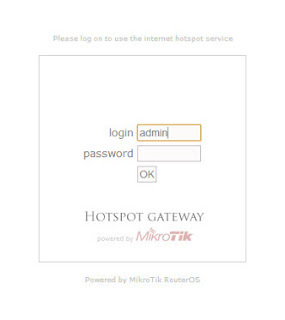 How to Make a Hotspot on Mikrotik: Mikrotik Hotspot Basic Settings – Microtic Router is a router that has full features. One feature that is quite popular and widely used from the Microtic Router itself is Hotspot. Do you know the difference between ordinary internet sharing and Hotspots? Maybe you often find wifi internet signals that are passworded using WPA or WEP. You will be able to surf if you enter the password correctly. So anyone can access the wifi if they know the password because there is only one password. Unlike the Hotspot method, where most WiFi hotspots are not in the password and all users can connect then they will be directed to the login page in the Web Browser. 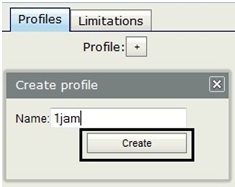 Each user can log in with a different username and password. This method is what we often find in wifi cafes, schools, campuses, and other public areas. 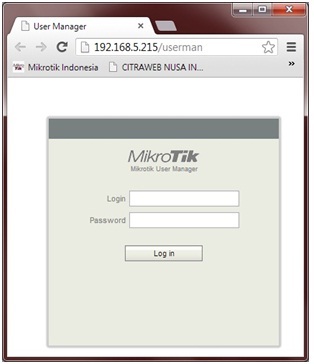 Now, we will discuss the Indonesian Mikrotik Tutorial by trying to make and set the proxy as a Hotspot. 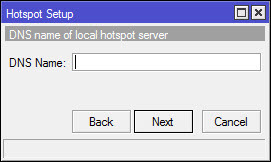 But before you need to know what are the advantages of Hotspot by using Mikrotik. 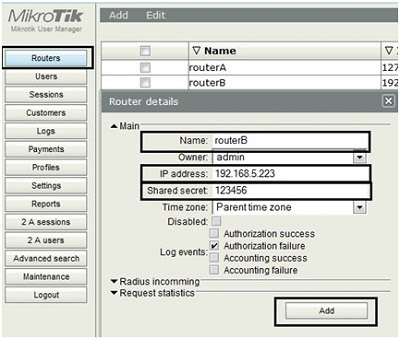 By using Mikrotik as a Hotspot, you can configure a wireless network that can only be used with a specific username and password. You can also manage these users. For example, set the duration of the total use of hotspots per user, limit how much data can be downloaded per user, set what content users can access, etc. Okay, I already know what the advantages and features of the proxy hotspot are. Now, go to Balajar Mikrotik directly to the practice. 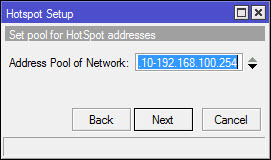 We start with the basic hotspot configuration first. Determine the interface that the hotspot will create. 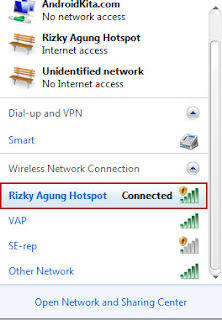 Because we will make a hotspot via wifi then select interface wlan. Here I assume using wlan1. 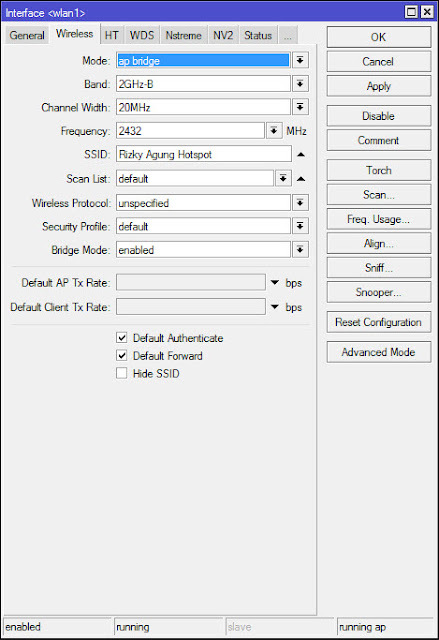 Activate wlan1 and use AP Bridge mode, fill in the SSID with the name of your hotspot. 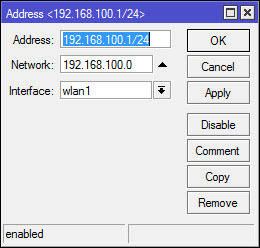 Determine the IP address range that will be given to the user (DHCP Server), for example: 192.168.100.10-192.168.100.254. So the user will be given an IP automatically by the DHCP Server between the IP range. 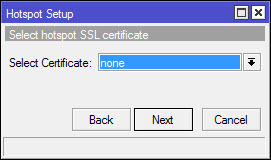 Select SSL certificate. Select none, click Next. 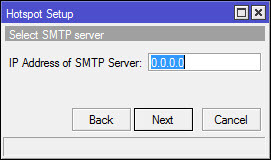 The IP Address for the SMTP Server is blank. Click Next. Enter the DNS Server address. 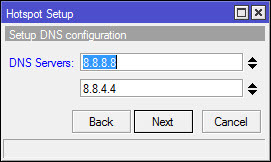 Just fill in with Google’s DNS Server: 8.8.8.8 and 8.8.4.4. Click Next. Enter the DNS name for the local hotspot server. If filled, it will replace the IP address of wlan1 as the login page url. 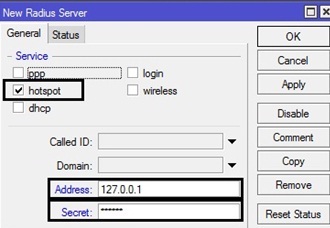 If it is not filled then the login page url will use the IP address of wlan1. Just clear it, click next. The hotspot has been successfully created. Please try to connect your laptop to your wifi hotspot. Open a browser and access any web, for example mikrotikindo.blogspot.com then you will be redirected to the proxy hotspot login page. Please try logging in with username: admin and password: blank. If successful login means that the Hotspot is correct.